Phillip Lim is a high-end American fashion brand for men and women that creates a variety of refined and stylish clothing and accessories. With Big Apple Buddy’s personal shopping service, you can now buy direct from the USA Phillip Lim online store anytime, anywhere. There are also plenty of options for bags and accessories at Phillip Lim. 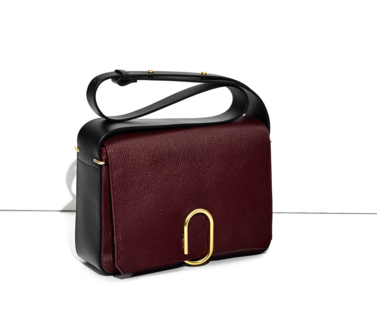 The ALIX Flap Shoulder Bag is framed with heavy vachetta leather and lined with black twill. This gorgeous burgundy color will add a look of sophistication to all of your outfits, and it’s the perfect size to hold all of your everyday essentials. The paperclip-inspired closure on the front of the bag will keep your belongings safely inside the purse, so you don’t have to worry about the flap opening while you’re walking. 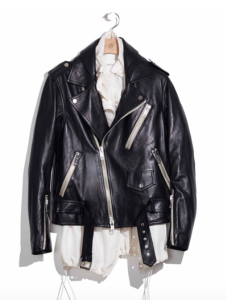 If you’re looking to add some edge to your wardrobe, the Phillip Lim Biker Jacket is a great accessory. This jacket is cut for an oversized fit and has traditional iconic motorcycle details, including two slanted zipper pockets on the sides and one on the chest. It also comes layered over a silk habotai shell with drawcords at the hem, which adds an unconventional twist to an otherwise traditional leather jacket. Made of 100% leather, this jacket will keep you warm while also delivering some serious edge and style to your wardrobe. Phillip Lim also has a variety of clothing and accessory options for men. The Honor Backpack will carry all of your daily essentials and bring some extra style and edge to your look. 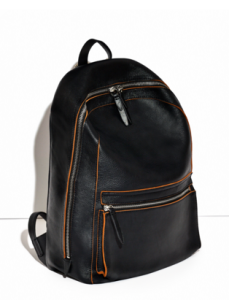 Its timeless design and style makes this backpack an accessory that will go with just about any outfit. Unfortunately, the USA Phillip Lim online store does not currently offer international shipping. However, Big Apple Buddy, your personal shopper, can help you buy products direct from the official USA Phillip Lim online store and ship them to your doorstep, no matter where you are in the world. We offer international shipping to over 190 countries including Australia, Austria, Bahrain, Belgium, Bosnia & Herzegovnia, Brazil, Brunei, Canada, China, Croatia, Cyprus, Denmark, Estonia, Finland, France, Germany, Hong Kong, Hungary, India, Indonesia, Ireland, Israel, Italy, Japan, Kenya, Kuwait, Lithuania, Macau, Malaysia, Maldives, Mexico, Namibia, Netherlands, New Zealand, Norway, Oman, Pakistan, Philippines, Portugal, Saudi Arabia, Scotland, Serbia, Singapore, Slovenia, South Africa, South Korea, Spain, Sri Lanka, Sweden, Switzerland, Taiwan, Tanzania, Thailand, UAE, UK and Ukraine. If you would like to buy from the USA Phillip Lim online store, simply let us know which items you would like to order (by filling out the form on the right) and we’ll get back to you with a free international shipping quote within 24 hours!